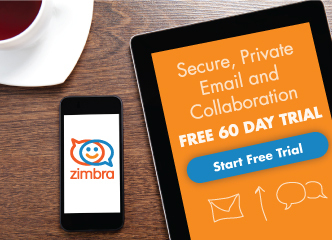 We are happy to announce the release of Zimbra Collaboration 8.8.10 (aka “Konrad Zuse“). Highlights of the release are included below, and for all release details, please visit the Release Notes. Improved support for IT automation by introducing a “sync” flag to all NG operations to run them in synchronous mode with feedback suitable for scripting. Ability to change an account’s email address while retaining the previous one as an alias, with no downtime for the account. For users of Zimbra Connector for Outlook, this release provides official support for Office365 and enhancements to improve end-user support. Stay tuned for more information. And, as always, please tell us what you think in the Zimbra forums or open a support ticket to report issues. 5 Responses to NEW Zimbra 8.8.10 (aka Konrad Zuse) is here! Forgotten Password feature introduced in earlier v8.8.x release is nowhere to be seen in v8.8.10 or at least not in my new install on Ubuntu 16.04. Currently running as a test server prior to migration of old system tomorrow. DNS currently points to old server, so accessing new server via IP address and using a “bypass” in FireFox to fix SSL Cert errors this throws up. So maybe behavior will change once DNS changed for new server. I would post this in the Community Forum, but Forum currently not accessible for some reason. Hi – thanks for your comment. I’ve forwarded it to our Product team to see what’s happening with the forgotten password feature. I’m also checkin on the forums for you. Hi Chris — I checked with Tony, who manages the forum, and he says everything is working. Please recheck and let me know if you have any further problems (gayle.billat@synacor.com). Regarding the forgot password feature, it has to be enabled. Instructions for that are here: Thanks! Gayle, Missing link in your October 29 response. Please update.